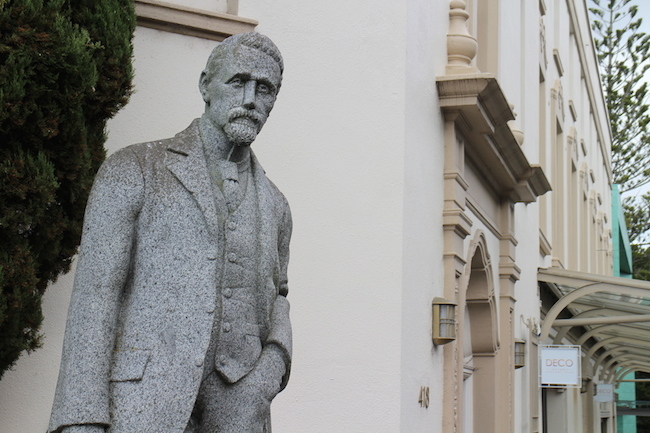 Hotel Titirangi was built in 1929-1930 and was promoted as a ‘Castle on the Fringe of Heaven’. The Spanish mission style hotel could accommodate over 60 guests in its fully carpeted rooms with ensuites. It had a small shop, tea-room, observation deck and a restaurant with a dance floor. However, a much hoped for liquor licence was never granted, resulting in the name ‘The Pub with No Beer’. During the 30’s, the hotel struggled to attract staying visitors, and most of its revenue was earned through the restaurant and tea-room. A night club was added towards the end of the decade, but the lack of a liquor licence continued to limit trade. The hotel was sold in 1942 to the Department of Education, for use as a residential school for the deaf. 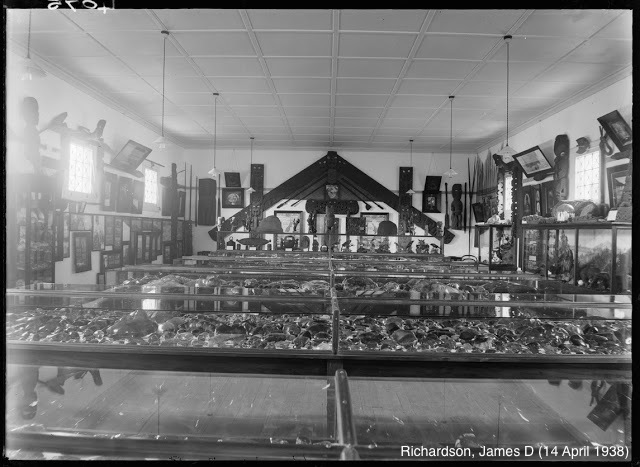 It served all deaf, school-aged children born north of New Plymouth and Gisborne. In 1960, when the school moved to purpose built premises in Glen Eden, the building was renamed Frank Lopdell House, after the Superintendent of Education. For the next 22 years, it offered residential training to in-service teachers from all over New Zealand. 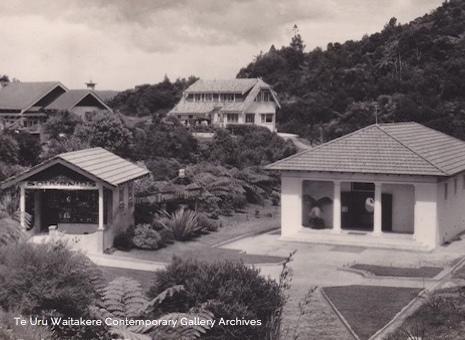 In 1983 Lopdell House was purchased by the Waitemata City Council, and the landmark building was refurbished as an arts and cultural centre with studios, galleries and a 100 seat theatre. The Lopdell House Development Trust was formed in 2002 by a group of community volunteers, concerned for the deteriorating state of the building and the future of the arts activities it housed. 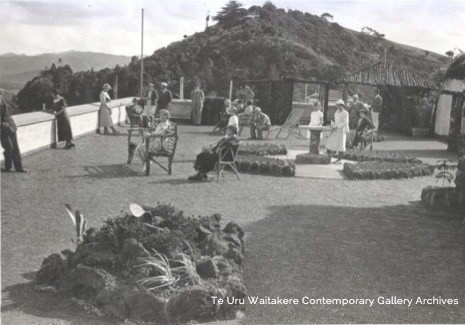 Support was provided by the Waitakere City Council and, when the super-city was formed, the new Auckland Council embraced the partnership. Auckland Council and the Trust partnered with Mitchell Stout Architects and NZ Strong, to seismically strengthen and re-develop Lopdell House and the Treasure House, and to build a new six level gallery. 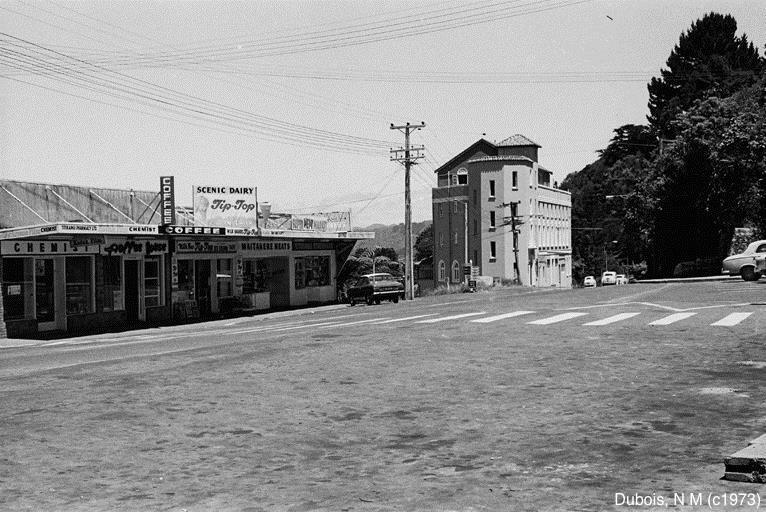 These buildings now form Lopdell Precinct, a significant arts hub for West Auckland.